iMedPub Journals publishes original research articles of outstanding medical importance. We will consider manuscripts of any length; we encourage the submission of both substantial full- length bodies of work and shorter manuscripts that report novel findings that might be based on a more limited range of experiments. 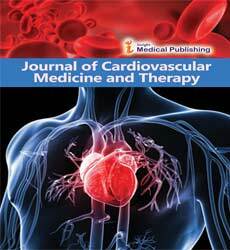 Journal of Cardiovascular Medicine and Therapy is self-financed and does not receive funding from any institution/government. IMedPub Journals defrays those costs from article-processing charges (APCs) payable by authors once the manuscript has been accepted for publication. iMedPub does not have subscription charges for its research content, believing instead that immediate, world-wide, barrier-free, open access to the full text of research articles is in the best interests of the scientific community.